You want something now. With Call It Magic, just search for it, and a few seconds later you can get it. Being a new college student, a team member of ours had just moved into a completely new place. When he ran out of shaving cream shortly after moving in he was stuck...Where might this person find shaving cream...today...before said person gives the impression of an unshaven, unclean engineer to all his new peers? We then realized that often times in life you just want something, but to get that something requires a lot of red tape. 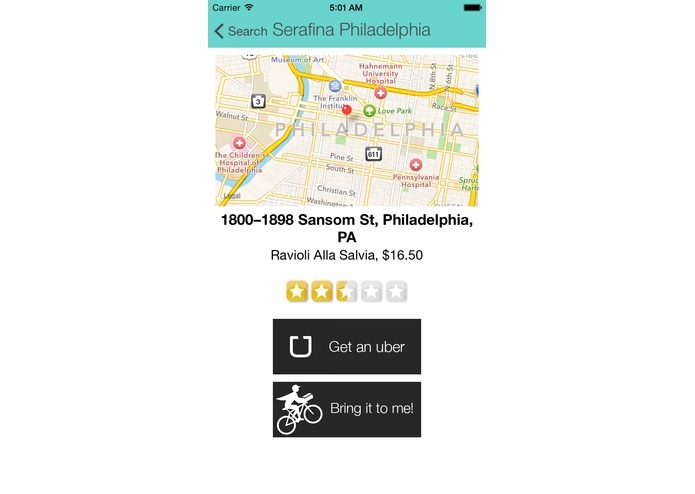 First you have to find where to go, get the address, search the ratings, check the inventory/menu/prices, etc. To solve this, we created Call It Magic. 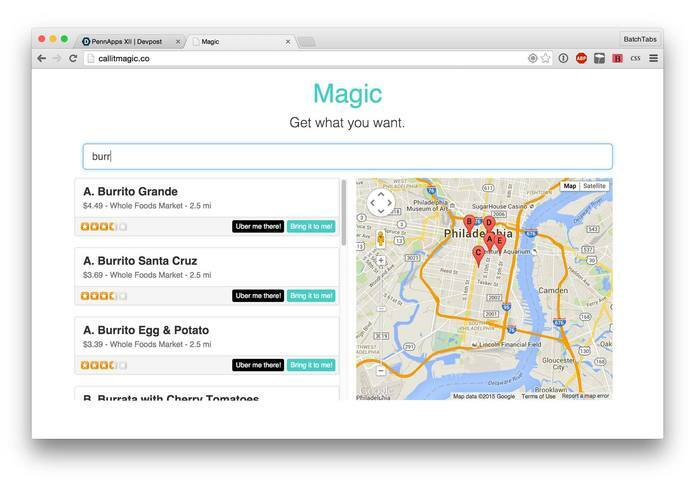 Call It Magic is the world's first search engine for the world around you. Whenever you want something you can just start typing. As you start typing, the results list immediately populates with suggested items matching your query. Let's say I want a burger. I would just type in "burger" and all of a sudden a list of burgers at every restaurant is at my finger tips––with yelp ratings, prices, and distance info. I can just click on the one I want and then within one click order an uber to go there or get it delivered via postmates. The app consisted of two front end clients, iOS and Web, and then a backend. To get the data our backend scraped the websites of a multitude of online services and combined them into our own MongoDB database. Using Algolia we could then search this database to provide the most relevant results matching the user's query. From there, we used Google Maps on web and Apple Maps on iOS to provide mapping data and calculate distance to the establishment. 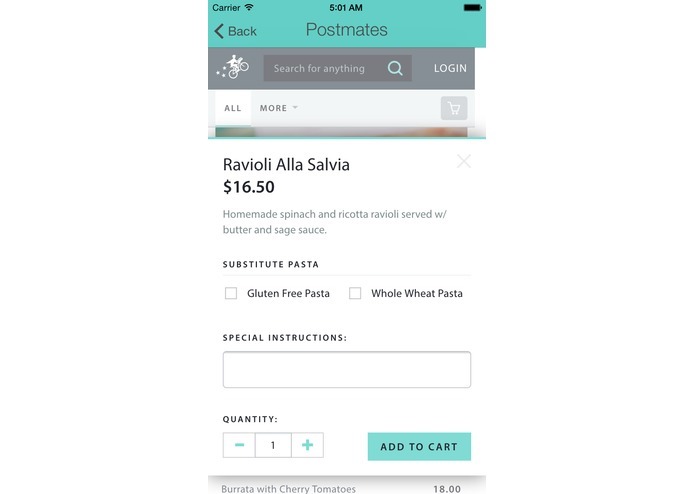 We then used the Uber API and postmates to allow the user to instantly get either transportation to the business of interest or pay someone to pick the good up for them. 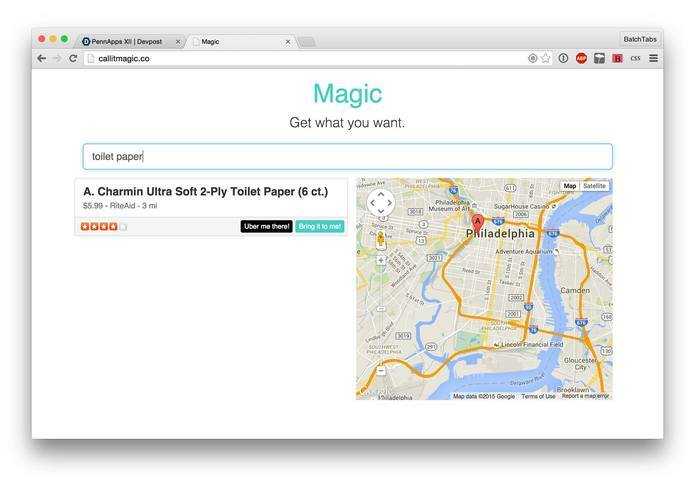 Currently Call It Magic only has knowledge on the city of Philadelphia. The next major step would be to expand to more cities and take advantage of even more data sources available on the interwebs. 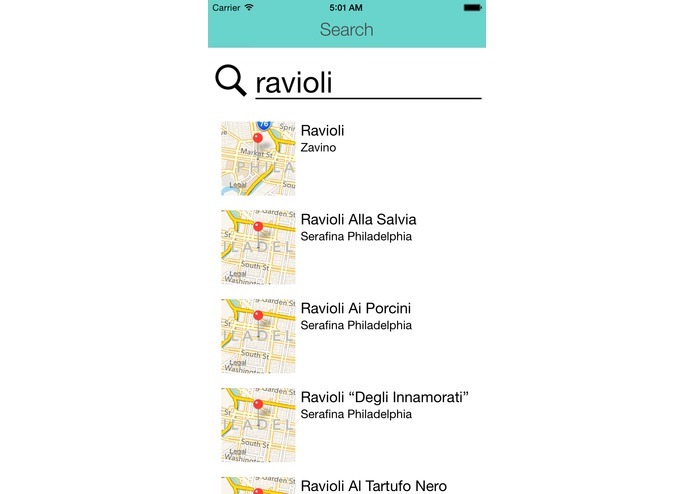 I wrote the iPhone app.